Focus Features has released the second full trailer for writer/director/actor Joel Edgerton’s coming-of-age and coming-out drama film adaptation Boy Erased. Check it out in the player below! The film was based on Garrard Conley’s Boy Erased: A Memoir of Identity, Faith, and Family which stars Academy Award nominee Lucas Hedges (Manchester by the Sea) as Jared Eamons and Academy Award winners Russell Crowe as Marshall Eamons (Gladiator) and Nicole Kidman (The Hours) as Nancy Eamons. 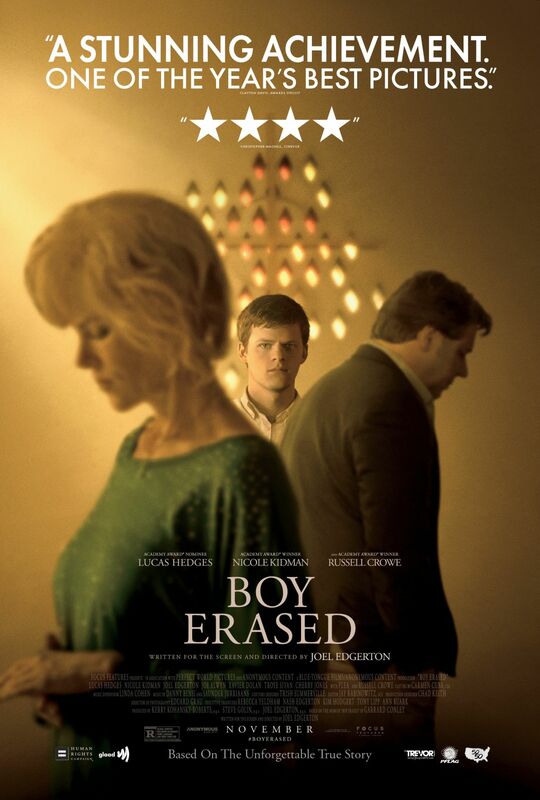 Boy Erased tells the story of Jared (Hedges), the son of a Baptist pastor in a small American town, who is outed to his parents (Kidman and Crowe) at age 19. Jared is faced with an ultimatum: attend a gay conversion therapy program — or be permanently exiled and shunned by his family, friends, and faith. 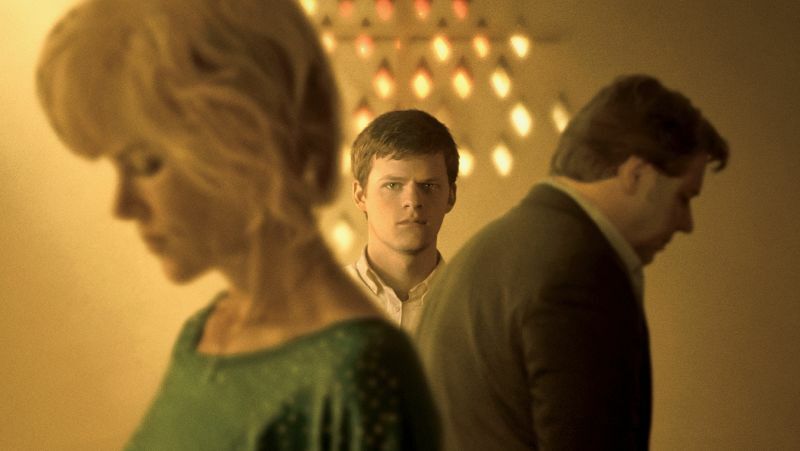 Boy Erased is the true story of one young man’s struggle to find himself while being forced to question every aspect of his identity. The movie also stars Joel Edgerton¸ Emmy and Tony Award winner Cherry Jones, Grammy Award winner Michael “Flea” Balzary from the Red Hot Chili Peppers, Xavier Dolan, Joe Alwyn, singer/songwriter and YouTube personality Troye Sivan, Emily Hinkler, Jesse LaTourette, David Joseph Craig, Théodore Pellerin, Madelyn Cline, and Britton Sear. Boy Erased is being produced by Edgerton and Anonymous Content’s Kerry Kohansky-Roberts and Steve Golin, an Academy Award-winning producer of Best Picture Oscar winner Spotlight. Executive producing the film are Rebecca Yeldham, Ann Ruark, and Anonymous Content’s Kim Hodgert and Tony Lipp. Josh McLaughlin, Focus president of production, will supervise the project for the company. Conley’s memoir was first published last year by Penguin Random House and was issued earlier this year in paperback. Edgerton has written the screenplay adaptation; Boy Erased will be his second feature as director following the sleeper hit The Gift (also produced by Yeldham), which earned him a Directors Guild of America Award nomination. He was recently a Golden Globe and Critics’ Choice Award nominee for his performance in Focus’ Loving. Boy Erased is set to arrive in theaters on November 2.